The fantastic technology of Wakanda comes to Dubai! But when the villainous KLAW launches a plot to extort billions from the citizens of the city, T'CHALLA's diplomatic mission becomes a search and rescue for the BLACK PANTHER! 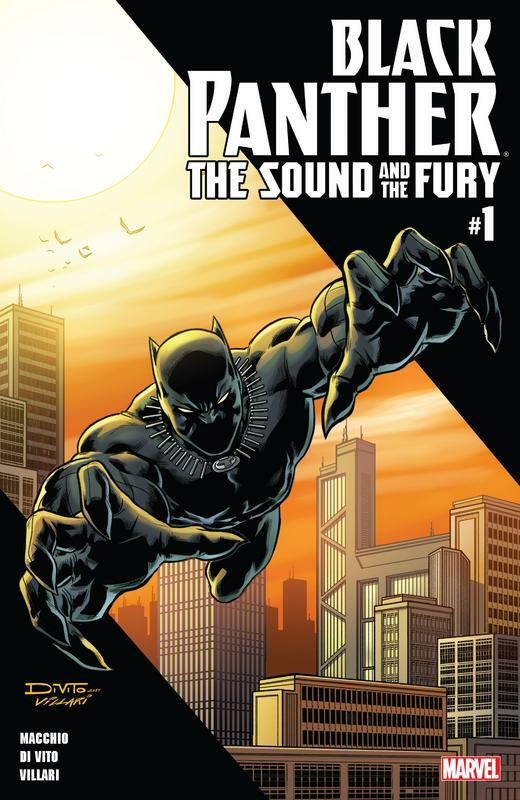 Written and illustrated by industry legends Ralph Macchio and Andrea Di Vito, THE SOUND AND THE FURY puts the Black Panther on a mission that will test his prowess against his long-standing nemesis, as well as three new villains - BLOKK, GARROTTE, and SHEN-YU!mFeaturing a special presentation of FANTASTIC FOUR #53, featuring the earliest conflict between T'Challa and Klaw, and the introduction of VIBRANIUM!